Our Preferred Customer Maintenance Agreement includes conditioner service discounts. Call 610-459-1098 for details. 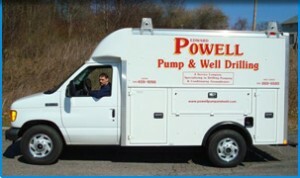 In Chester County, Delaware County, the Main Line and New Castle County, Delaware, families trust Edward Powell Pump & Well Drilling for their water conditioning service. Naturally, you are used to having air conditioning service or vehicle maintenance performed annually. Most water conditioners require service yearly as well whether it is to refill your neutralizer with mineral, replace your UV bulb, clean the screen and nozzle on your softener, or fill your brine tank with salt; we are there to care for your needs. We service a variety of different water conditioners including Fleck, Autotrol, Osmonics, Erie, and Clack. Some service companies use these valves but have their own distinct timer, for which only they have availability to the parts. We can service these units except for replacing certain parts.